Gah! 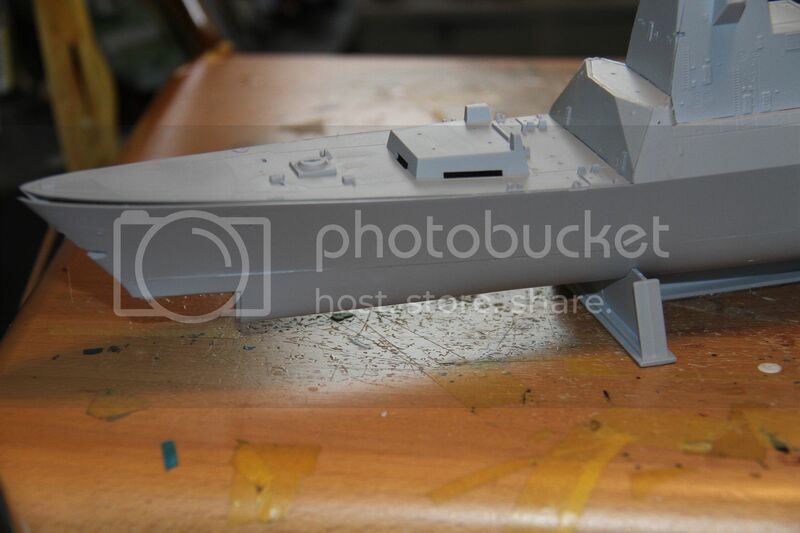 With the way the ship looks to fit I would need the Warhammer kit to build on the side too. Really like the colors on it. 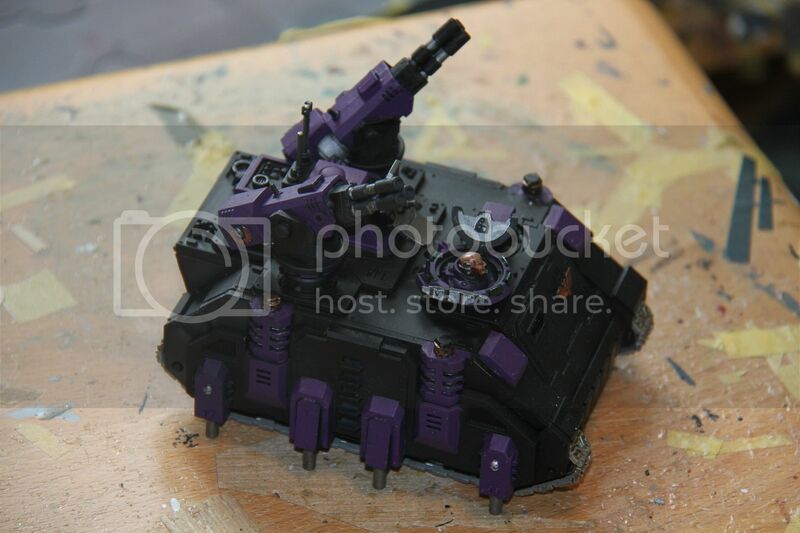 Purple is such a great color for a weapons system. I would hope he would batten down the hatch before it was switched on. 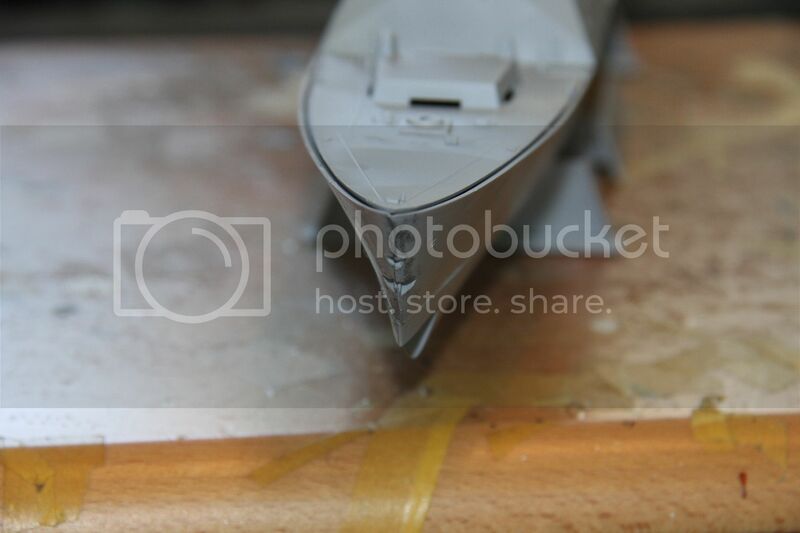 Yup, that is ship is turning out to be tricky, but fortunately the plastic is quite soft, so with a bit of luck I should be able to wrangle everything into place, then it is down to filler. I like the black and purple it is a little sinister. I have made a bit of progress, I think this thing is going to test my painting skills. Looking good so far John. 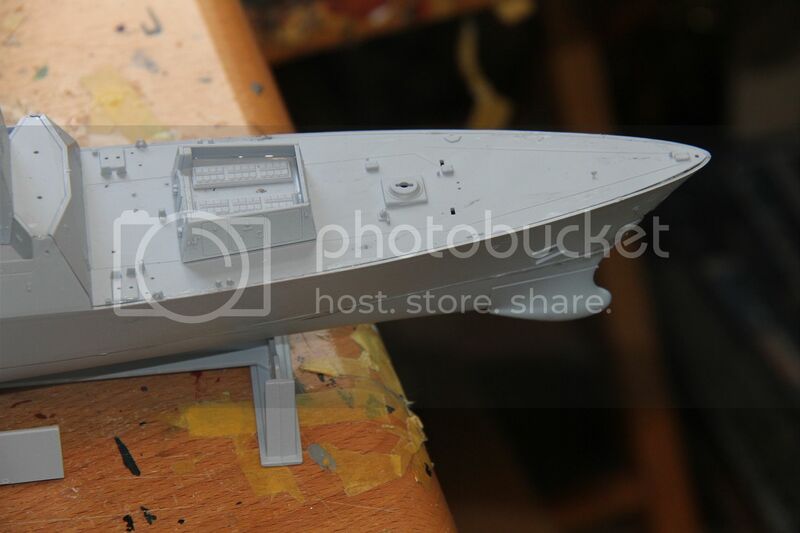 A bit more wrangling done on HMS Dragon's hull, the port bow in place, as close as I can get it. will leave that alone for a few days, and then have a go at the other bow. Looks nice so far, John. Simon, with a little rough tLC I am sure the bow will line up properly. Probably a wise decision to take it little by little and one section cure before moving on to the next. So, Great (campaign) Leader... 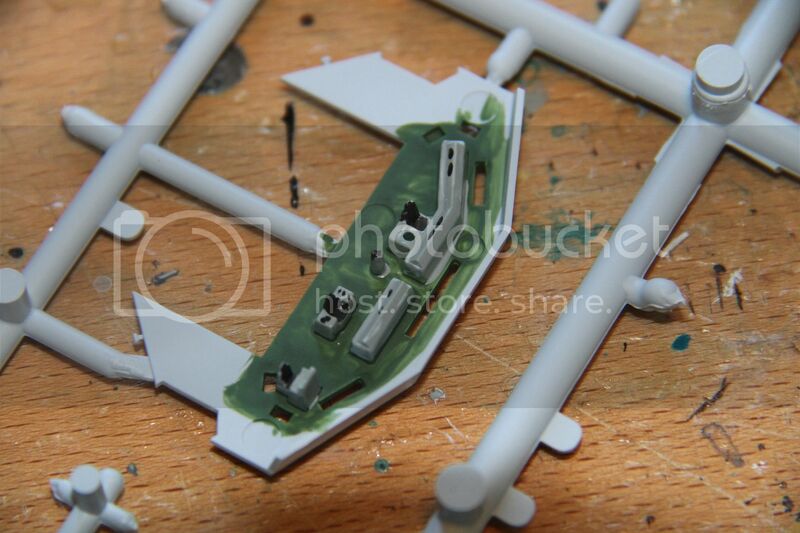 I am pawing 'round in the pile and I came across this Dragon "Sd.Kfz 251/17 ausf D w/2cm schwebelafette" kit... And I started feeling a strong halftrack build-whist... This thing was a later-war German armored personnel halftrack which mounted a 2cmFlaK 38 AA gun in a small "internal" turret- used for providing both local AA support and ground-fire... I'm speaking of Dragon kit 6292, IIR the kit-num C.
Will this fly here? I'm thinking it should, as it is an AA gun, however often used more for ground support fire (sort of like that modern Russian beast discussed back around page 1 of this campaign thread), but you are the boss! Seems like (at least until I get the next wild hair going ) I'll be clattering into this shindig with a Dragon SdKfz 251/17 ausf D w/2cm schwebelafette, then! I'll get a start pic up pretty soon. To paraphrase my Cajun friends down here in the Louisiana Gulf Coast... "Let the good times roar!" I always thought they rolled. Do they roar too? I've been to Mardi Gras in the Crescent City, and can certainly believe it! OK, Mark, you got me there, pard! I tried, but couldn't slip one past those eaglish eyes! Laissez les Bon Temps rouler, Friend, Laissez les Bon Temps ROULER! I section down, two to go. 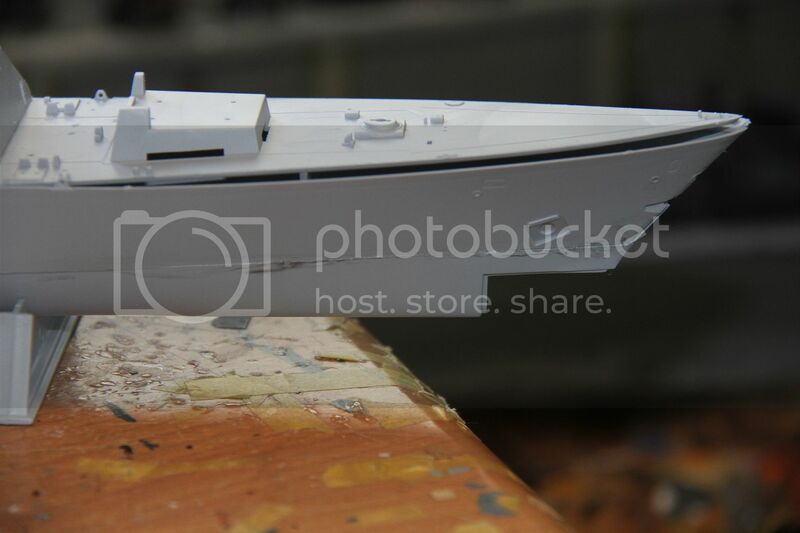 Plan is to get one done tomorrow, the starboard bow, and the deck in place on Sunday. Starboard side of the bow as close to in place as it goes. Just the deck to get down, then some serious filling & filng. The deck down, as close as I can get it. 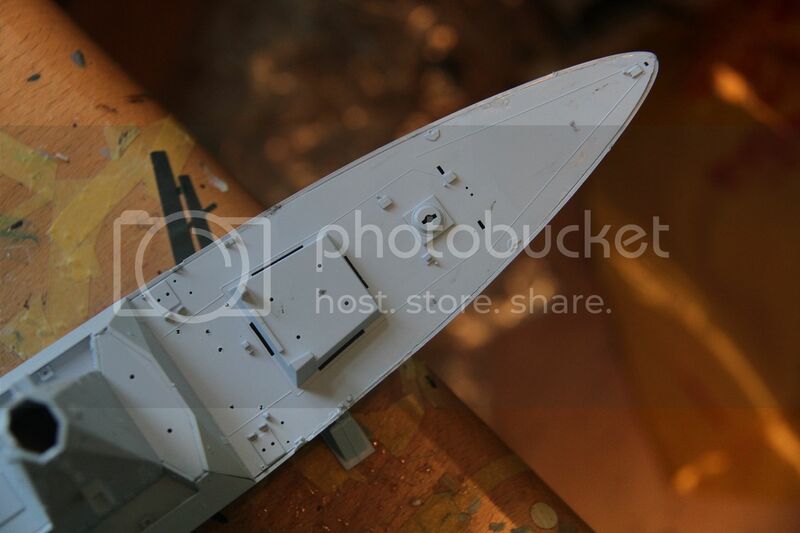 Some other bits and pieces that may need attention, the sonar dome on the bow, and the VLS. Another area, with seven front and side panels and the roof, that will likely need attention from some filler is the Bridge, the deck section has a decent shot at a simple interior. Quick update on the Hunter. 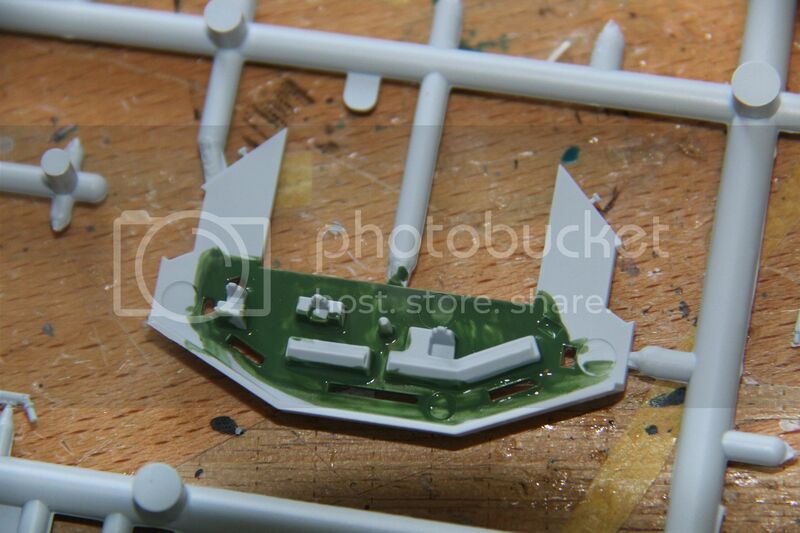 detail painting on the weapons & driver finished, and final assembly done. Looking good, Simon. The deck looks decent and a bit of filling and sanding and it should be perfect. Nice job on the hunter. just two quick shots to show what I've been up to. 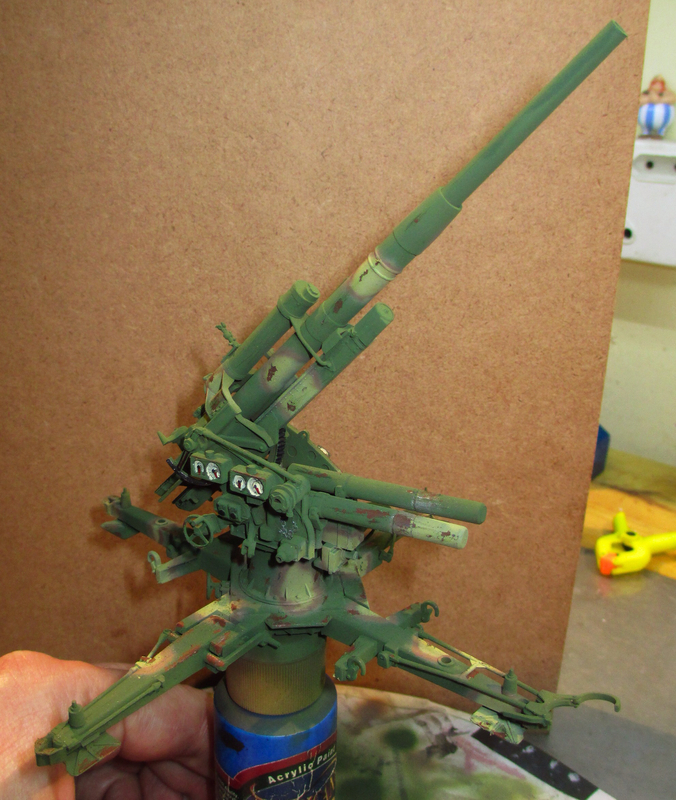 Anyway, I think it is OK, weathering and washes should blend everything in a bit better, right? That's the spirit! ... balls to the wall! Looks good! 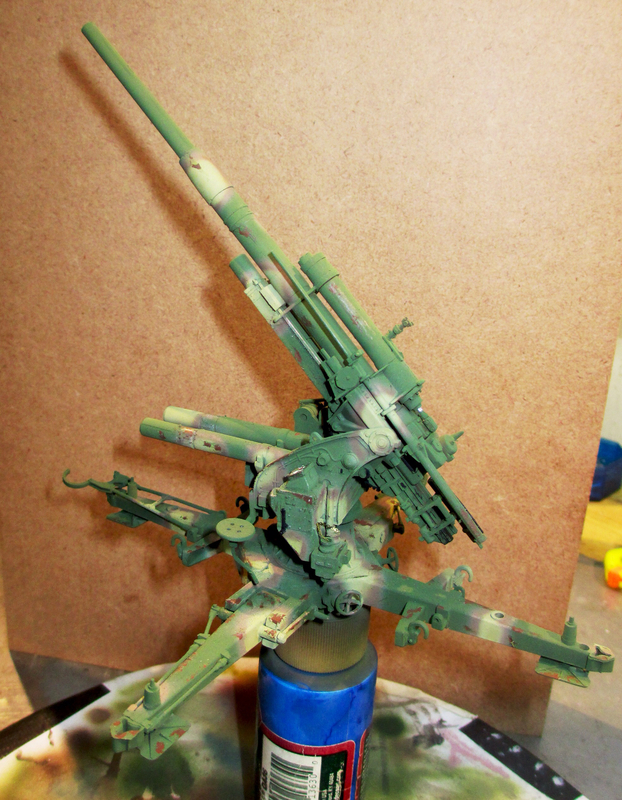 ... looking forward to the weathering and wash stage. +1! Go for it in the first try. I think you got a really good result. That is going to be awesome. I have never seen AFV Club kits here. Looks like a nice kit! Nice choice, Chris! I've been recently hunting once of these on ebay without much success. Quite pleased with that bit, I thought it was going to be a lot worse. Also pleased with the Hunter, will look better (I hope) when I have dirtied her up a bit. Couldn't have put it better myself, but I do not intend to let this beat me.